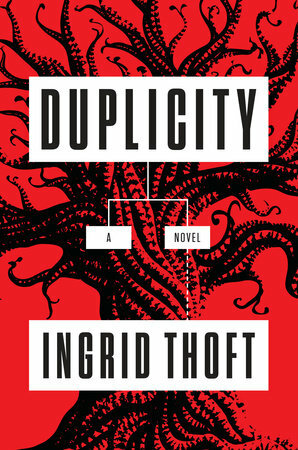 DUPLICITY by Ingrid Thoft is an informative and gripping novel about abuse. It brings back Fina Ludlow, an outcast in her own family, and a fighter for justice. It is very interesting how Thoft intertwines a murder mystery while having readers question organized religion and abuse. There are many similarities where people learn facts about a community or person; yet, choose to ignore it. These two seemingly unrelated plots come together as Fina must convince those who have this information and facts to act upon it. It is a wonderful story about what is right and wrong within the context of religion and life itself. Duplicity delves with serious topics, but the banter between the characters and Fina’s sarcastic demeanor present a welcome release. Readers will question along with Fina the true meaning of faith and are given access to all the dynamics within her dysfunctional family. In addition the murder mystery is very riveting.